If you are in the midst of your wedding planning, then you have probably realized that you will need to hire an event rental company. Whether you will be needing to rent something as simple as dinnerware, or tables and chairs, hiring a rental company takes some careful considerations. This simple guide was created to provide you the basic information necessary to hire a good event rental company. If you follow the tips in this guide you will not have any issues. The first thing you are going to need to do is find event rental companies in your area. You should use a variety of methods like search engines, asking your friends, and utilizing the mass of information on social media outlets. You will need to determine what you need to rent, and the quantity of each item. Most event rental companies offer things such as, tables and chairs, tents and canopies, dance floors and staging, dinnerware, glassware, table linens, and catering accessories. Once you have determined a ballpark figure on what you need to rent, you can begin calling the companies on your list. Take the time to compare prices between all the companies. The rental companies are all in competition for your business, the more time you spend looking for the best deal the more money you will save. You could save hundreds, even thousands of dollars. Once you have found a rental company that you believe matches your requirements, go over all the details with them. They will be happy to advise you further on what you will need. Be sure they know exactly what time they are to arrive to begin setting up. If they are late is could cause a wedding disaster, leaving your guest without a place to sit during your ceremony. An event rental company may require that you make a down payment and sign a contract before working with you. If this is the case, be sure that you have read and fully understand the contract prior to providing a signature. Choosing the best event rental company to provide your wedding and reception needs can be overwhelming. This simple guide was created to give you some helpful tips on what it takes to find and hire a good rental company. If you follow the tips in this guide your search should be succinct and direct. Fortunately for you Cincinnati has various established rental companies for you to choose from, go and check them out! Route Fifty Campers, llc. 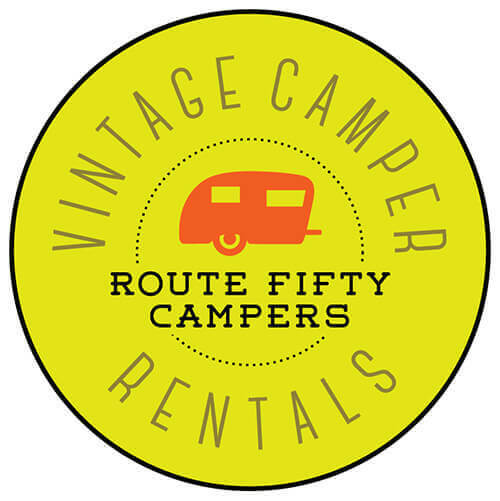 is the only Vintage Camper Rental company in the Cincinnati region. Your accommodation will be delivered and set up for you at your favorite campground, private property, or business event. We provide a unique and cozy setting for our guests to unwind and enjoy life - uncomplicated. We are a hospitality company. It's our job to make it easy for you. We provide a safe and unique setting for you to just relax and enjoy the outdoors with friends and family.